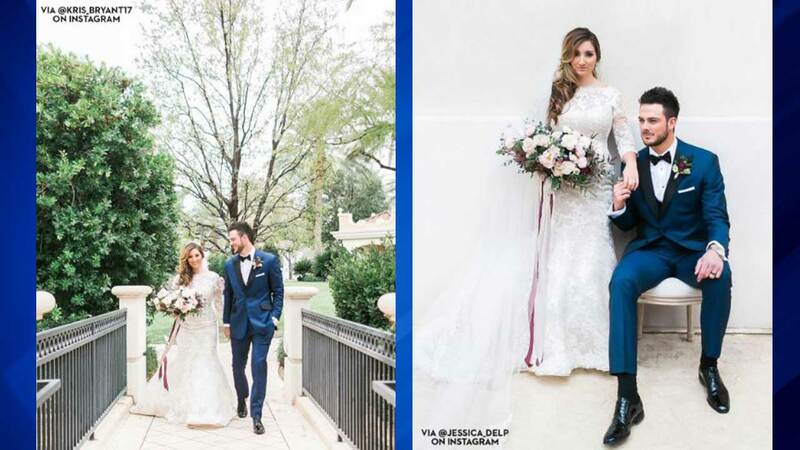 Kris Bryant and Jessica Delp got married. LAS VEGAS (WLS) -- World Series champ Kris Bryant shared video from his wedding day with his fans. He posted the video on his Instagram account. The third baseman married his high school sweetheart Jessica Delp on January 7 in Las Vegas. The wedding came just four days after Bryant celebrated his 25th birthday. The couple's anniversary is 1-7, 17 for No. 17. And Bryant's teammates also attended the wedding, including Anthony Rizzo.